SpaceClaim Engineer 2014 now available. New Tools for Manufacturing, Advances in File Compatibility, Performance Speed Gains, Improved Collaboration Make this the Best Version of SpaceClaim Engineer Yet. 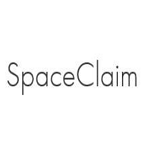 With advances in nearly every aspect of the software, from new tools and extended interoperability to significantly faster performance, this new release maintains the popular interface and intuitive work flow of SpaceClaim Engineer while introducing several benefits. The product is available today. Anyone interested can request a trial. A full SpaceClaim Engineer 2014 new feature list and video tours of the new functionality are available here.